Home » Publications » Research Reports » Heroin » What are the treatments for heroin use disorder? What are the treatments for heroin use disorder? A variety of effective treatments are available for heroin use disorder, including both behavioral and pharmacological (medications). Both approaches help to restore a degree of normalcy to brain function and behavior, resulting in increased employment rates and lower risk of HIV and other diseases and criminal behavior. Although behavioral and pharmacologic treatments can be extremely useful when utilized alone, research shows that for many people, integrating both types of treatments is the most effective approach. Scientific research has established that pharmacological treatment of opioid use disorder increases retention in treatment programs and decreases drug use, infectious disease transmission, and criminal activity. When people addicted to opioids like heroin first quit, they undergo withdrawal symptoms (pain, diarrhea, nausea, and vomiting), which may be severe. Medications can be helpful in this detoxification stage to ease craving and other physical symptoms that can often prompt a person to relapse. The FDA approved lofexidine, a non-opioid medicine designed to reduce opioid withdrawal symptoms. While not a treatment for addiction itself, detoxification is a useful first step when it is followed by some form of evidence-based treatment. Methadone (Dolophine® or Methadose®) is a slow-acting opioid agonist. Methadone is taken orally so that it reaches the brain slowly, dampening the "high" that occurs with other routes of administration while preventing withdrawal symptoms. Methadone has been used since the 1960s to treat heroin use disorder and is still an excellent treatment option, particularly for patients who do not respond well to other medications. Methadone is only available through approved outpatient treatment programs, where it is dispensed to patients on a daily basis. Buprenorphine (Subutex®) is a partial opioid agonist. Buprenorphine relieves drug cravings without producing the "high" or dangerous side effects of other opioids. Suboxone® is a novel formulation of buprenorphine that is taken orally or sublingually and contains naloxone (an opioid antagonist) to prevent attempts to get high by injecting the medication. If a person with a heroin use disorder were to inject Suboxone, the naloxone would induce withdrawal symptoms, which are averted when taken orally as prescribed. FDA approved buprenorphine in 2002, making it the first medication eligible to be prescribed by certified physicians through the Drug Addiction Treatment Act. This approval eliminates the need to visit specialized treatment clinics, thereby expanding access to treatment for many who need it. 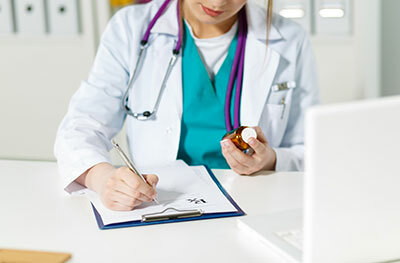 Additionally, the Comprehensive Addiction and Recovery Act (CARA), which was signed into law in July 2016, temporarily expands prescribing eligibility to prescribe buprenorphine-based drugs for medication-assisted treatment to qualifying nurse practitioners and physician assistant through October 1, 2021. In February 2013, FDA approved two generic forms of Suboxone, making this treatment option more affordable. The FDA approved a 6-month subdermal buprenorphine implant in May 2016 and a once-monthly buprenorphine injection in November 2017, which eliminates the treatment barrier of daily dosing. Naltrexone (Vivitrol®) is an opioid antagonist. Naltrexone blocks the action of opioids, is not addictive or sedating, and does not result in physical dependence; however, patients often have trouble complying with the treatment, and this has limited its effectiveness. In 2010, the injectable long-acting formulation of naltrexone (Vivitrol®) received FDA approval for a new indication for the prevention of relapse to opioid dependence following opioid detoxification. Administered once a month, Vivitrol® may improve compliance by eliminating the need for daily dosing. The many effective behavioral treatments available for opioid use disorder can be delivered in outpatient and residential settings. Approaches such as contingency management and cognitive-behavioral therapy have been shown to effectively treat heroin use disorder, especially when applied in concert with medications. Contingency management uses a voucher-based system in which patients earn "points" based on negative drug tests, which they can exchange for items that encourage healthy living. Cognitive-behavioral therapy is designed to help modify the patient’s expectations and behaviors related to drug use and to increase skills in coping with various life stressors. An important task is to match the best treatment approach to meet the particular needs of the patient. What is heroin and how is it used? What is the scope of heroin use in the United States? What effects does heroin have on the body? What are the immediate (short-term) effects of heroin use? How is heroin linked to prescription drug misuse? What are the medical complications of chronic heroin use? Why does heroin use create special risk for contracting HIV/AIDS and hepatitis B and C? How does heroin use affect pregnant women? What can be done for a heroin overdose? Where can I get further information about heroin? NIDA. "Heroin." National Institute on Drug Abuse, 8 Jun. 2018, https://www.drugabuse.gov/publications/research-reports/heroin. NIDA. Heroin. National Institute on Drug Abuse website. 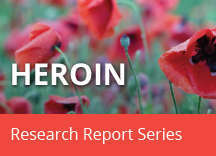 https://www.drugabuse.gov/publications/research-reports/heroin. June 8, 2018.